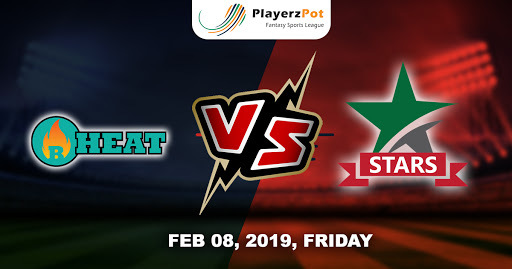 The Stars will be looking to secure a spot in the BBL08 finals with a win over the Heat, while Brisbane can also qualify for the playoffs with winning this match and hoping for some decision come in their favor. Brisbane Heat are coming off with back to back wins against Strikers and Perth Scorchers, while stars lost their last match against Scorchers. The match at The Gabba, Brisbane on 8th February will be the last match for Brendon McCullum as he announced retirement from the Big Bash Cricket so Brisbane would like to give him a good farewell. Sandeep Lamichhane will make his BBL return after joining up with the squad for this encounter, this will be a big boost to the Stars line up as in the 4 matches he took 8 wickets and was almost unplayable. Liam Plunkett will make way for Sandeep in the squad. The Heat have recalled pace bowler Brendan Doggett in place of batsman Sam Heazlett in the only change from the previous match in 13 men squad. Renshaw was amazing in the match against Strikers as he won the match for his team single-handedly. Hoping to see some fireworks from the Bash Brothers in this match. Melbourne Stars will win this match as their bowling unit is much stronger than Heat.